If you’d like to get a little funky with your greeting cards this holiday season, you’ve got the green light with personalized Claus A Palooza Cards. Each features a unique mixture of blue and green holiday-themed designs, including stars, glass ball ornaments, and a Christmas tree. 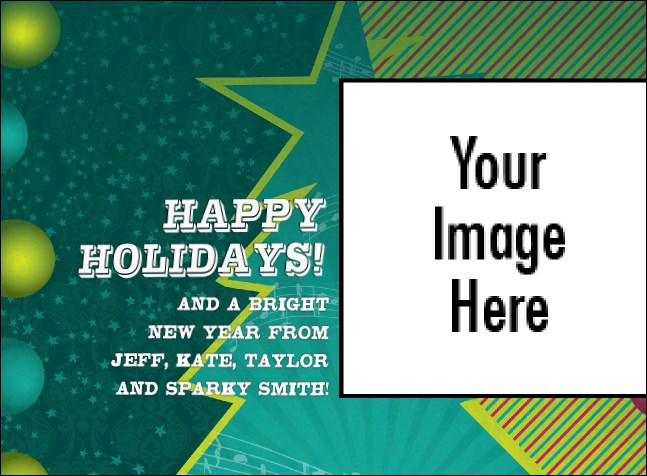 Upload a picture of your family for the perfect holiday greeting card. Say Happy Holidays with TicketPrinting.com.